When your heating system has left you out in the cold or your cooling system has left you hot under the collar, it’s time to call in the pros! The team at Quality Heating & Air Conditioning is all about YOU! Customer care is our primary focus. When you are experiencing an emergency or issue with your air conditioning or heating systems, let us save the day. We are your trustworthy source for all repairs as well as your knowledgeable consultants when it comes to upgrading to a new, energy-efficient temperature control system. We customize our service to your specific circumstances. For jobs large or small, the pros at Quality Heating & Air Conditioning are your climate control super heroes! HAVE QUESTIONS? WE HAVE ANSWERS ! HOW DO I KNOW I NEED REPAIR ? Is your system maintaining the desired temperature? Turning on and off? How about strange noises? Leaks or condensation? Have you been getting astronomical utility bills? Any of these may be cause to consider a service call. And the sooner, the better. WHAT SHOULD I DO BEFORE I CALL FOR REPAIR ? Check your thermostat! Does it require a new battery? Easy fix! Check to make sure your system is on and check the accompanying breakers. Still not working? Call us. HOW COULD I HAVE PREVENTED THIS ? A careful cleaning of condenser coils. Another way to prevent prevent surprise emergencies is regular, at-home preventive maintenance. Change those filters once a month! If they’re washable, they should be cleaned once a month. This helps your system operate at it’s most efficient level. CAN I ARRANGE FOR A REGULAR SERVICE SCHEDULE WITH QUALITY HEATING & AIR CONDITIONING ? We thought you’d never ask! We’d rather see you smiling at our regular servicing appointment than see you upset with an inconvenient emergency repair visit! Call our office and we will gladly put you on the schedule! WHAT HAPPENS IF MY SYSTEM IS NOT REPAIRABLE ? It happens. Your heating and cooling systems have a lifespan. Although it depends on the unit, the quality of installation and the maintenance, you can expect to get about 10 to 20 years out of a furnace. Your air conditioning system will last around 14 to 16 years. If you call us out and your system isn’t repairable, we have a vast wealth of information on new, up-to-date systems that will fit your requirements. HOW DO I KNOW WHAT SIZE SYSTEM I SHOULD HAVE ? The size of your system is important for both comfort and energy usage. We will be glad to have a conversation with you about any of the systems we represent. It all depends on the size of your home, its layout and your individual usage. 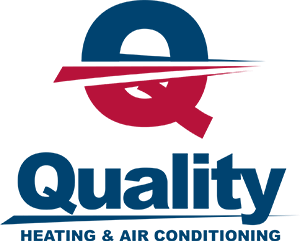 Quality Heating & Air Conditioning will be glad to conduct a full evaluation of your home and discuss the energy and cost implications of your alternatives. HOW DO I KNOW I’M NOT SPENDING TOO MUCH ? At Quality Heating & Air Conditioning, we know you have plenty of options for your temperature control comfort. So what sets us apart from the competition? Again, we’re glad you asked! Our technicians are the most experienced in the business. Our reputation in the Innisfil, Bowmanville and Bradford areas is unsurpassed. 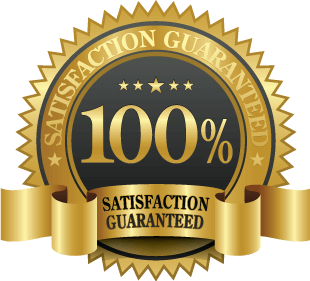 We back our work with a solid guarantee. Customer service is our primary concern. We want to ensure your long term satisfaction and have you return to us time and again whenever you have heating or cooling concerns. We have a long list of satisfied customers. We’d love to add you to that list!